The Romans and the Chinese both valued the family and filial piety. Patriarchal authority was revered and ancestors worshiped. Elaborate funerals and burials left many records and objects, which help us better to understand ancient peoples. The Romans kept images of their ancestors in thetablinum of their homes. On solemn occasions they paraded the images or hired actors who wore the death masks and imitated the ancestors in their highest held offices. This statue of a senator holding busts of ancestors was from the first century BCE. (Capitoline Museum, Rome). Filial piety is the primal virtue for Confucians, who tell many stories of filial sons for education. In this episode, Laolai, an old man himself, pretends to be a child to amuse his parents and make them forget the burden of old age. 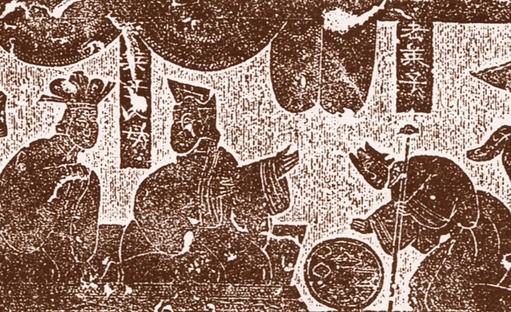 (Rubbing from the Wu Liang shrine, Jiaxiang, Shandong, Latter Han). 1. A Roman funeral procession. A funeral procession carrying the sarcophagus. (Museum of Roman Civilization, Rome). 2. A jade burial suite. 3. 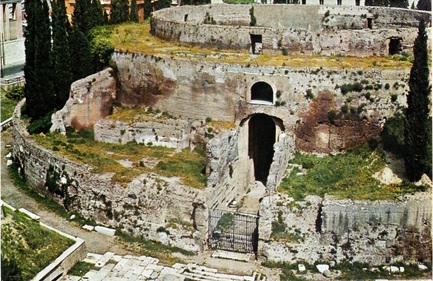 The mausoleum of Augustus at Rome. 4. 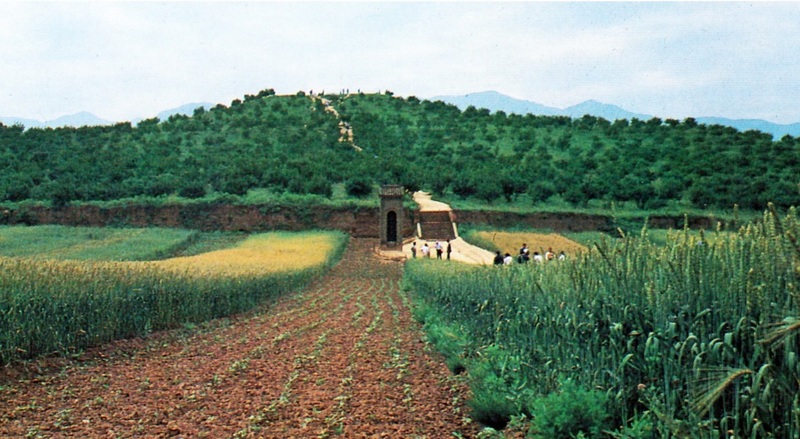 Burial mound of the First Emperor 5 km east of Xian. 6. 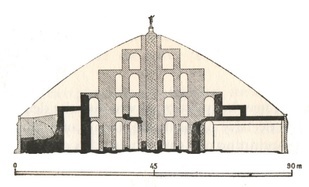 Cross section of the First Emperor’s burial mound. 7. 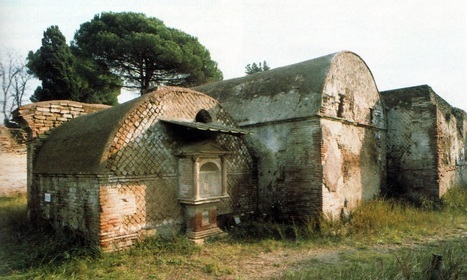 Roman tombs near Ostia. 8. 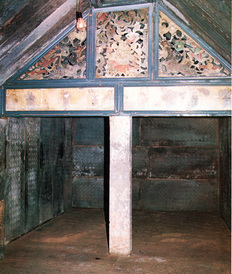 The inner chamber of a Latter Han tomb.